Mid-Life Cruising!!! : Nirvana's First Year! ﻿ ﻿Well, it was one year ago today that Ken and I became the proud owners of our Catalina 30. I couldn't think of a better way to spend my birthday than going to New Orleans to view what I knew was going to be our sailboat. We had seen her on Craigslist the night before and knew we had to act fast. So, after a stop at Jimmy Buffet's Margaritaville for what else... a birthday Margarita, we saw our sailboat for the first time. We made the deal that night! Five days later we sailed her (or the seller sailed her, we'd never sailed before) across Lake Pontchartrain from New Orleans to Slidell, LA. Her name was Warwick at the time, but after a denaming/renaming ceremony she became Nirvana. Nirvana is a Buddhist term meaning "enlightenment and bliss". Buddhists believe that you have reached Nirvana once you've realized the key to inner happiness is being able to give up material things, ego and envy. So, this seemed appropriate since we couldn't agree more with this concept. We see so many people that are miserable (and up to their ears in debt) trying to keep up with their friends, neighbors, etc. The only way they feel validation is through their latest purchase, yet they never feel satisfied. Happiness comes from within ... from finding your passion and living it. It seems to us that's why cruisers are so happy. They've found the secret to happiness, which is the opposite of what today's society teaches us. They've realized that materialism and envy are toxic, and finding your passion is the answer. We can't wait to free ourselves from our material possessions. It is then that the doors truly open! Anyway, we can't believe that a year has already passed. During that time, we hauled out our sailboat and kept the local hardware store in business. 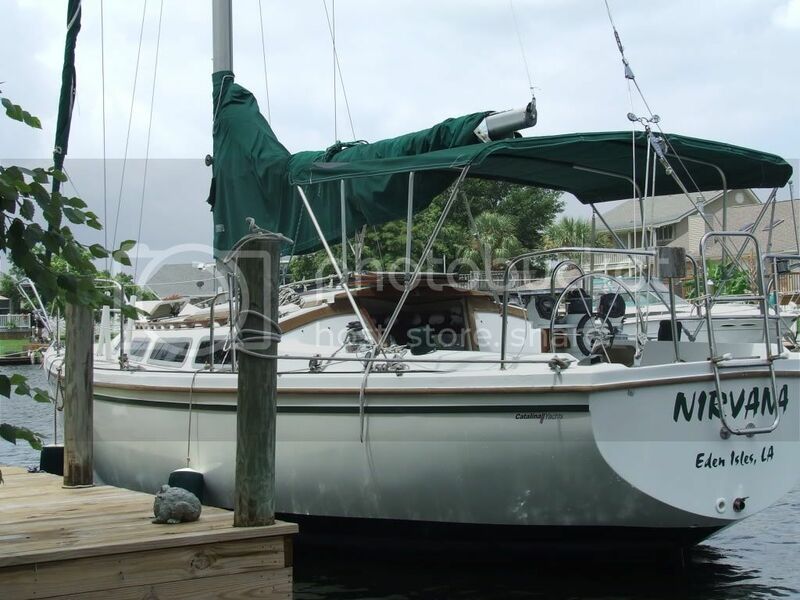 Nirvana was in the yard for 2 1/2 months and we learned all about sanding, blisters, epoxy, fiberglass repair, bottom painting and hull painting to name just a few. You can see pictures of Nirvana and the haul-out process here. 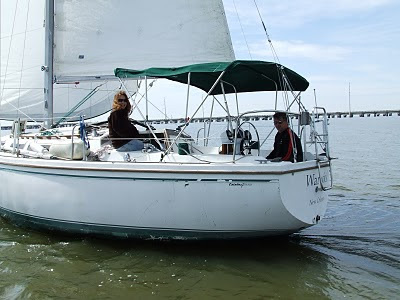 We had our first sail in March, 2010 and just last week our first overnight stay (if you don't count our backyard) on Nirvana, anchored in Lake Pontchartrain. Deciding to purchase a sailboat has already opened our eyes to so much that we never imagined. We now have this web site, a Facebook page, and two other sites, Pampered Pirate and Pickled Pirate, which sell t-shirts and bath products to help fund our cruising dream. For someone who had never seen Facebook until a few months ago and never heard of blogging until last year, there was a lot to learn! We've had a lot of great followers and have even received a few donations. Yes, there are still a lot of great people out there! We've also become followers of a lot of great cruising sites. You'll notice a few of them on the sidebar. We can't wait to meet these people someday, as they all have the same dream as us and have been so helpful in sharing their experiences. So, today we're celebrating Nirvana and how blessed we are to have her! We at the Barco know the joy of anticipation of a boat purchase X7. It never gets old. I can't wait for the weekend to spend some time on the water! Happy Birthday and Happy 1st Anniversary!!! I'm so inspired to see a couple pursuing their dream against all odds. Never give up!!! You guys have really accomplished a lot in one year! I bet by this time next year you'll be living aboard full time.